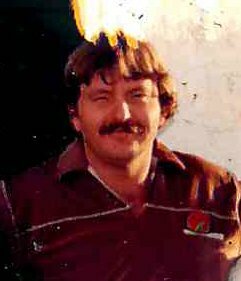 Donald D. Briggs, Jr., 58 of Mt. Vernon, died November 25, 2018 at Linda White Hospice. He was born on June 10, 1960 in Massachusetts, the son of Donald A. and Rosemary (Whitney) Briggs, Sr.
Donnie fought a good fight with his sickness. He will be dearly missed by his family and friends. He enjoyed fishing and raising his Labradors. Surviving are his better half, Frankie Briggs and his baby dog, Jack Briggs; his mother, Rosemary Briggs, of Evansville; sister, Nancy (Raymond) Comaier, nephew, Joseph Comaier; sister, Susan (Billie) Goodman, nephews, Adam Gomache and Aaron Gomache. He was preceded in death by his father, Donald.